When I think back to my childhood summers a few very vivid memories instantly come to mind…catching lightning bugs in mason jars, building miniture African villages in the dirt with twigs and leaves under the big maple tree (I must have been a strange child…or maybe the Lord was just preparing my heart for things he had in store for me?? 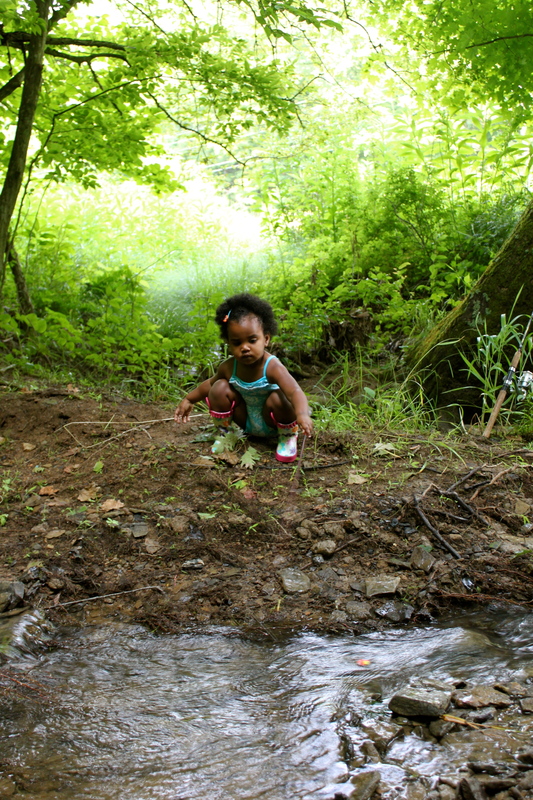 ), and playing in the “Big Creek”. Oh how I loved the Big Creek! Countless hours were spent splashing in the ice cold water of the Big Creek which ran just below my parents house across Davisson Run. I guess Davisson Run is actually the name of the creek, but we only knew it as the “Big Creek”, not to be confused with the “Little Creek” which ran perpendicular to the Big Creek and ran down from old Mr. Sheet’s cow pasture on the other side of my parents property. 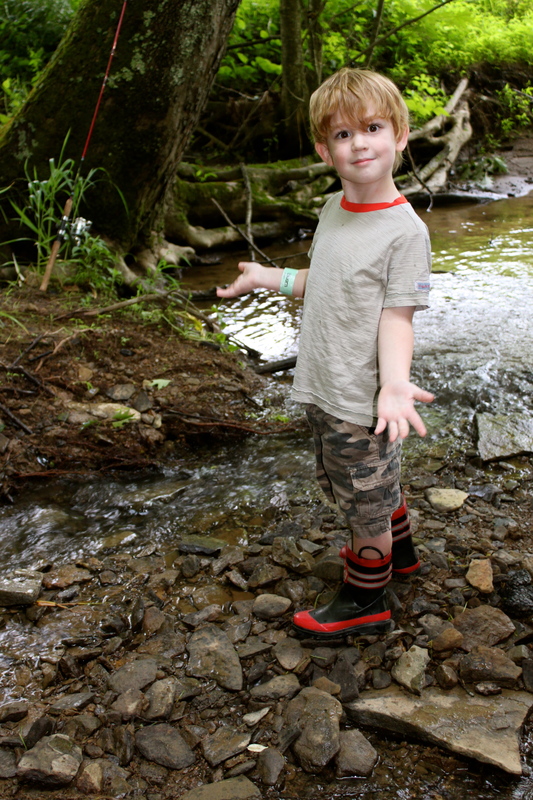 The Big Creek was where we would loose track of time turning rocks to find salamanders, building dams, skipping stones, and splashing in the water. It is the kind of picturesque setting that every child should have as the backdrop to their childhood. Pure fun! 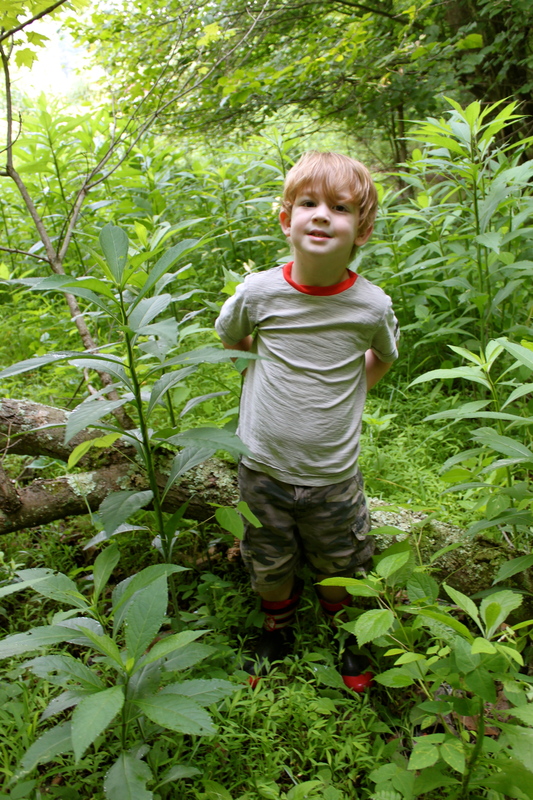 While I was home in WV this past week I wanted to show Nash and Evyn the Big Creek. 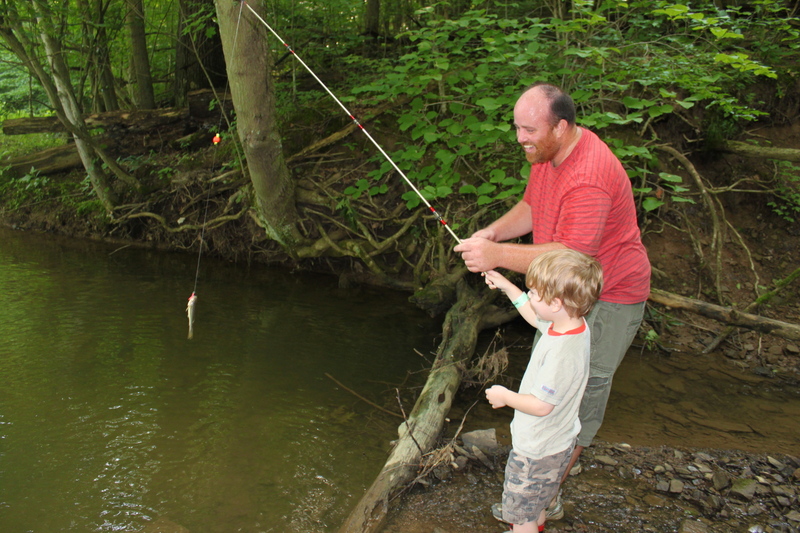 Uncle Seth who knows the creek a thousand times better than I do offered to take the kids fishing. They could not have been more excited! Time had not changed the creek much over the years and it was as beautiful as I remembered (minus the muddy old tire that had somehow made it’s way down the stream) . It even smelled and sounded the same as it did years ago. We walked through the pasture pushing our way through the 4 foot grass and weeds to our usual spot where the creek bends to the left and the bank gradually eases it’s way into a sandy patch where you can easily stand and watch the water trickle by. At this bend in the creek stands the funny tree with J shaped trunk indicating we had arrived to our spot. It too looked as though it had not changed at all. The J tree stood tall and joined the other trees in shading the fishing hole with it’s green canopy. Oh, the green canopy! I’m convinced there must be a million shades of green in a West Virginia summer day. Every time I go I notice the color of summer there is more vibrant than anywhere else I’ve been. It is a sight to behold. So there I was. Standing in the Big Creek with 2 of my children. 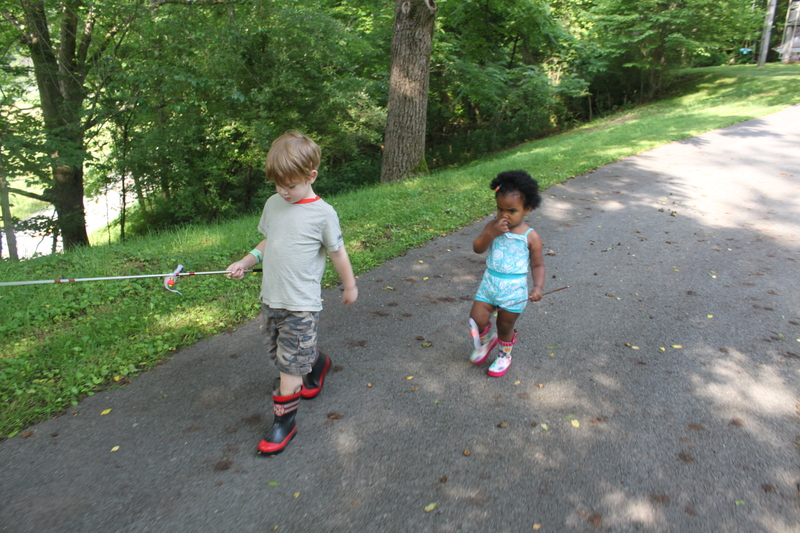 Sharing the Big Creek with Nash and Evyn was special. And standing there may have been the closest thing to time travel as I have ever experienced! 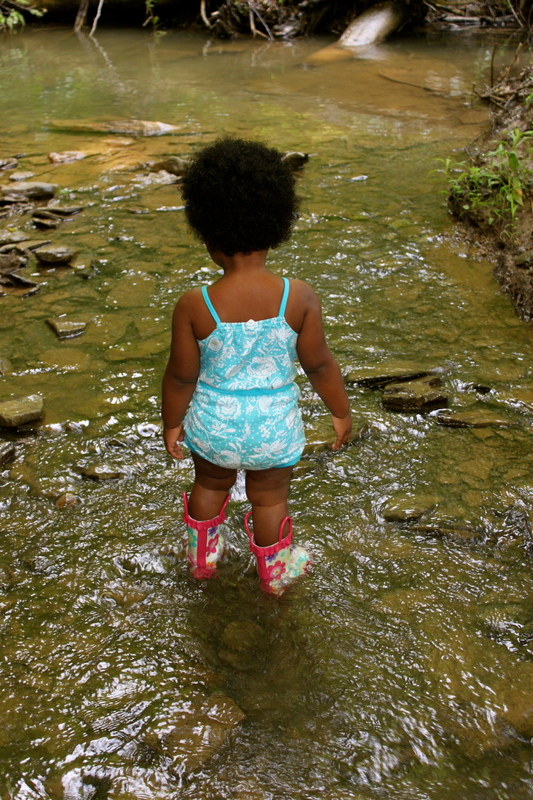 I felt like that 9 year old little girl enjoying another carefree summer day playing in the creek….the only thing that had changed was me. Well, there I go getting carried away and day dreaming about my childhood. Here are some pictures of my kid’s first trip (of many, I hope!) to the Big Creek. The walk to the Big Creek. welcome to the "jungle" as Evyn called it. Evyn didn't want any help. She wanted to fish all by herself (hello 2 year old. )...well, more like she wanted to slap the pole and bobber on the water over and over. It's just as fun. 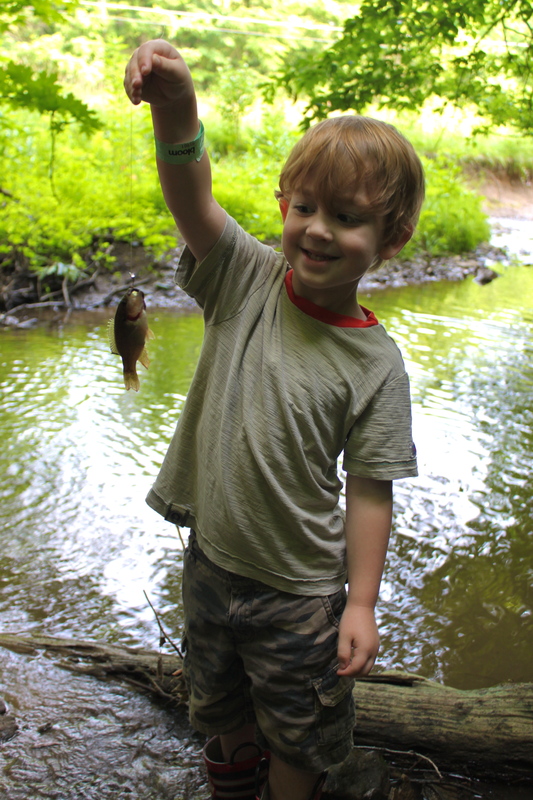 First cast in the creek...he catches a fish!! I'm not sure who was more excited, Nash or Uncle Seth! And another fish! 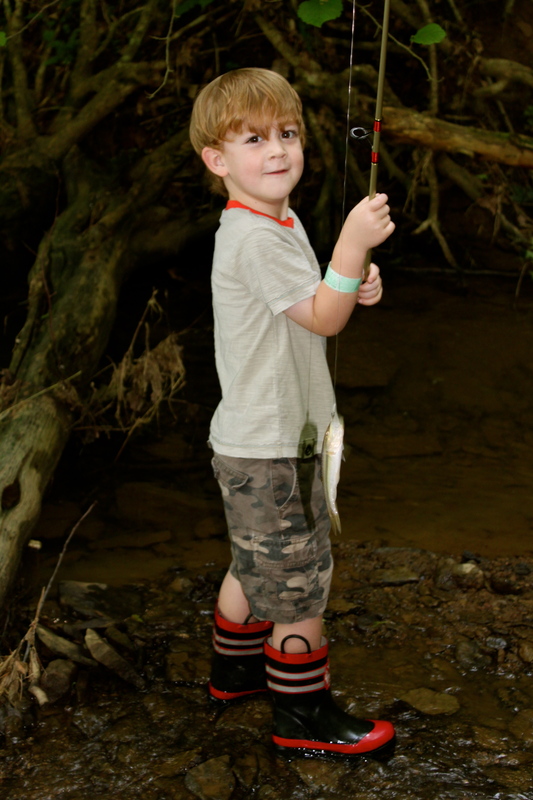 Fishing in the creek was EASY! 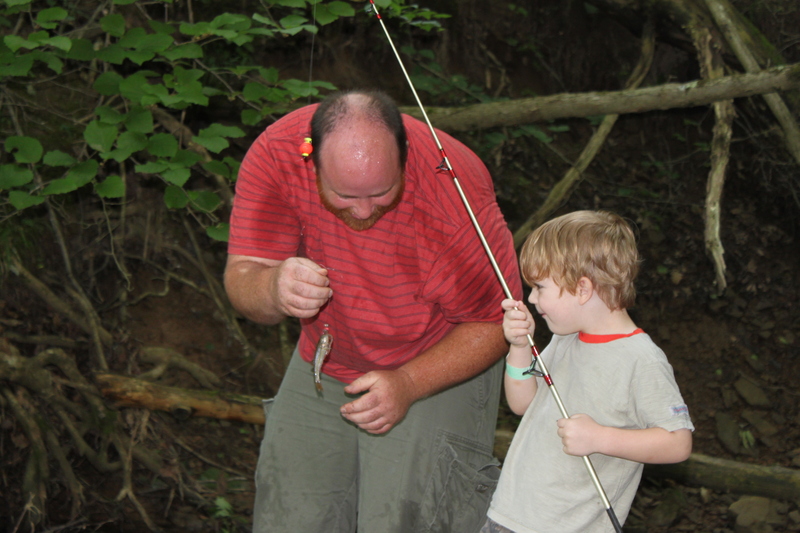 Every time he threw a worm out, he caught a fish! What's so hard about fishing! That was easy! Emily, have you ever entertained writing a novel from your blogs? Love reading about your childhood and your children. 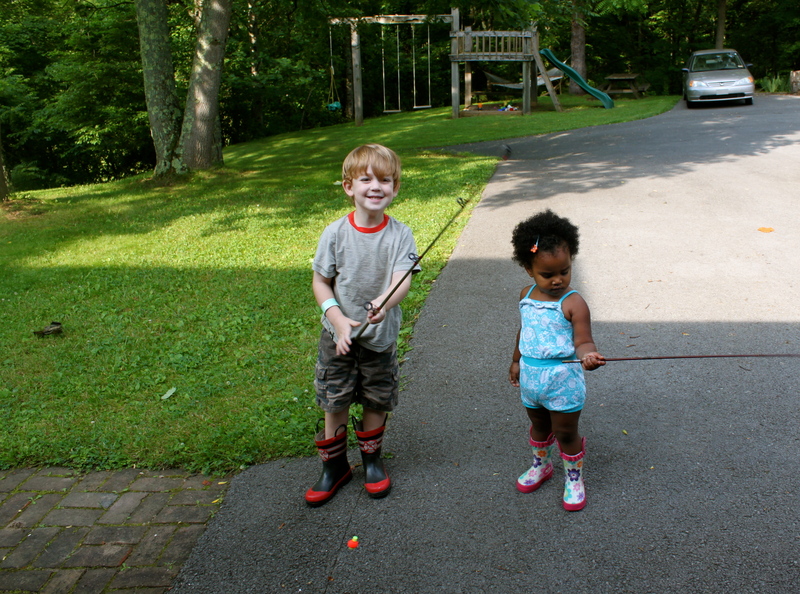 Love the way you and Bryson love each other and others too. So proud to know you. Awww! I love this post. What great memories and new traditions. And I love seeing Seth. I miss our summers at the campground and the kinds of memories that can only be made in creeks and swashes! I love the pictures and the memories! The kids are adorable! Nash looks so much like his daddy in the last two pictures! I hope to see you guys sometime soon!